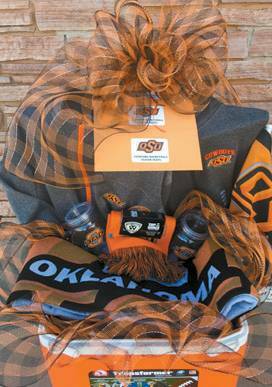 Are you a true Oklahoma State University Pistol’s Firin’ Fan? Do you Bleed Orange? Is your House ‘Not a House Divided’? Do you want experience an OSU Football Game at Suite Club Level at Boone Pickens Stadium, a Basketball Game at Gallagher-Iba Arena and Eddie Sutton Court – and I mean on the floor courtside with the Cowboys, and experience watching one of the top NCAA Baseball Teams?